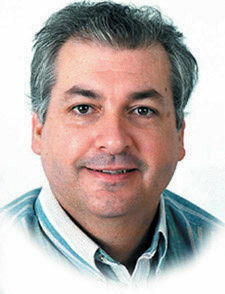 Longtime business writer Mike Copeland is a Baylor graduate who joined the Trib in 1978. The Chalk Bluff community has a new Dollar General store at 131 Pamela Ave., which was officially opened Saturday with giveaways and festivities. The first 50 adult shoppers at the store received a $10 Dollar General gift certificate, and the first 200 shoppers collected a Dollar General tote bag. “Dollar General is committed to delivering a pleasant shopping experience that includes a convenient location, a wide assortment of merchandise and great prices on quality products,” said Dan Nieser, Dollar General’s senior vice president of real estate and store development in a release. The company helps people pursue a high-school equivalency certificate or learn a new language. At cash registers, customers interested in learning to speak English or to get their GED diploma can pick up a brochure with a postage-paid reply card that can be mailed in for a referral to a local organization that offers free literacy services. Since its inception in 1993, the Dollar General Literacy Foundation has awarded more than $93 million in grants to nonprofits. The Mars candy plant in Waco is known for its Snickers production, churning out every product consumed except the snack-sized versions. When commercials for a Snickers Peanut Butter Squared started airing, I found out out that Waco is in the mix for those, according to a corporate spokesman. “One hundred percent of all Snickers Peanut Butter Squared are made in Waco,” he emailed, noting that production began in October 2010. He said the Waco facility, which employs 456, produces 1.5 million Peanut Butter Squared bars a day, 21.5 million a week and 304 million a year. That’s a lot of candy, and does not include the many other Snickers-branded products it produces. Waco’s plant opened in 1976. The first product it produced was Starburst, a fruit-flavored soft candy. Mars announced in December it will spend $11.7 million to give the Waco facility an upgrade that will include a $4 million enrobing machine that wraps food items in chocolate. Waco-based Spenco focuses on the feet, which is why it has signed a sponsorship agreement with Joseph Gray, four-time “Mountain Runner of the Year,” eight-time “USA national champion” and the first African-American to win the USA National Mountain Running Championship. He becomes the newest member of Team Spence, named for company founder Wayman Spence. Gray, who lives and trains in Colorado Springs, Colo., is using the company’s Ironman Race insoles for enhanced arch support. Gray dominated the recent 7.6-mile Northeast Dental Mount Washington Road Race in New Hampshire. • The Salt Lick, a barbecue joint with locations in Texas Hill Country, is eyeing Legends Crossing, State Highway 6 and I-35. These unconfirmed reports remain so persistent that they are worth a mention. If you also have information to share, call 254-757-5736.